Fujifilm’s new X-T30 brings much of the feature set of the high-end X-T3 at a more reasonable price. If that sounds familiar, it’s because the relationship between the X-T20 and X-T2 was the same. With the X-T30 you receive the same 26MP sensor and processor as the X-T3, a more advanced AF system (which the X-T3 will soon gain via firmware update,) plenty of direct controls and a tilting touchscreen, all in a smaller body. The X-T30 also comes at a significantly lower price than the X-T3, with the body priced at $899, versus $1499 for the X-T3. 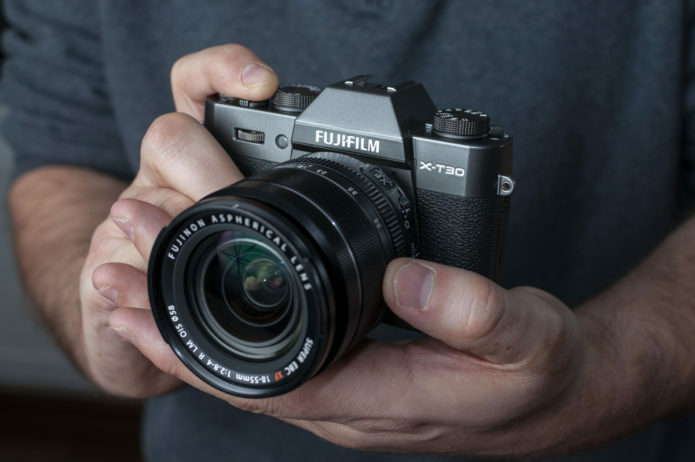 We’ll discuss what features are cut in order to make the X-T30 the less expensive of the two options a bit later in this article.